Exciting New Series for Kids! As an elementary teacher for over a decade, I have read lots of books over the years. I have not been this excited for new children's literature in many years! 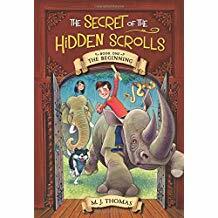 I recently discovered The Secret of the Hidden Scrolls: The Beginning by M.J. Thomas. My seven year old son is a great reader, but he does not often want to pick up a book and read on his own. 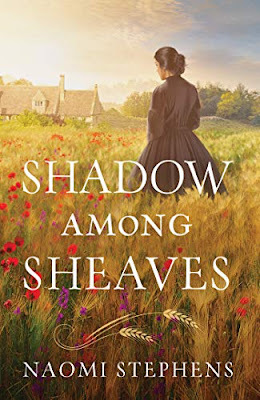 We've enjoyed some chapter book series' before, mostly the A to Z Mysteries series, but no Christian series has captured his attention until now. When I heard about The Secret of the Hidden Scrolls, I was intrigued and could not wait to try reading them with my son. The books feature two children, Peter and his sister Mary, who go back in time to famous events in the Bible. In the first book, the children travel back to the time of the Creation. My son fell in love with these books! We quickly read this first book and are now on book 2. I have to say that I also really enjoyed book 1. It was such a fresh take on the Creation story and it really brought the story to life. I highly recommend this book to both boys and girls ages 6-9. There are some pictures throughout, which really helps beginning readers. The reading level is comparable to other chapter books for kids this age. My son and I read them together, and he reads them fine with little help. If you are looking for a book to bring the Bible alive-- this is it! This book now causes my son to please with me daily-- "Just one more chapter!" Mr. Thomas, please write more books and write fast! My son and I will be looking for more of these books soon.